1–2 The nominee shows such qualities some of the time. 3–4 The nominee frequently shows such qualities. 5 The nominee continually shows such qualities. 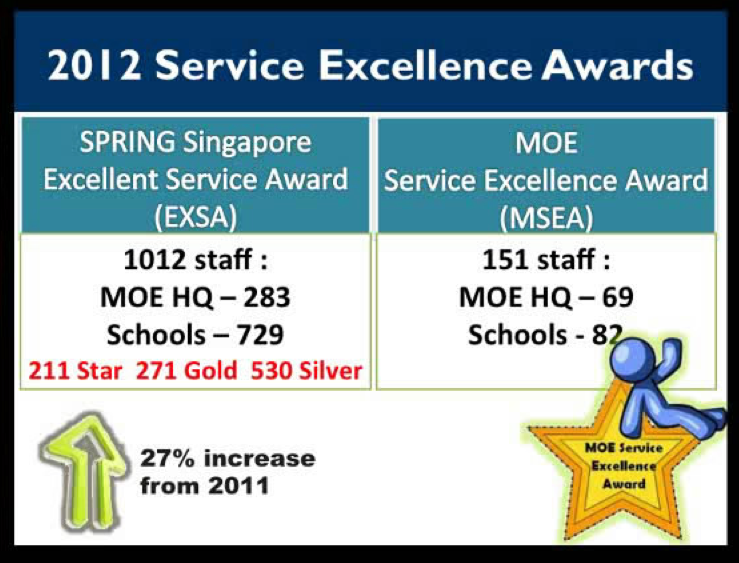 1 Developed creative and innovative programmes/ activities to enhance service quality. 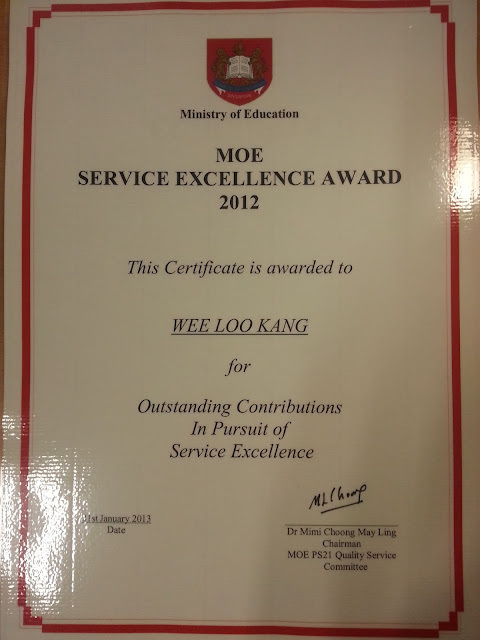 Loo Kang constantly seeks to find new ways of improving learning and teaching in our schools. He lives the ethos of the teaching profession and leverages on his specialized skills and knowledge to create new, freely available open-source physics computer models to benefit anyone, anywhere in the world. To date, he has contributed or adapted more than 75 Physics simulations for use in our local curriculum. Most importantly, physics comes "alive" and is meaningfully fun to inspire curiosity and imagination. The MOE Innergy Awards aim to recognise individuals or teams that have come up with innovative ideas that have brought significant benefits contributing to the MOE mission. 2 Regularly participated in quality improvement activities, demonstrated team-spiritedness and service excellence beyond the immediate organisational level, while ensuring optimal use of public resources (i.e. cost and manpower savings). 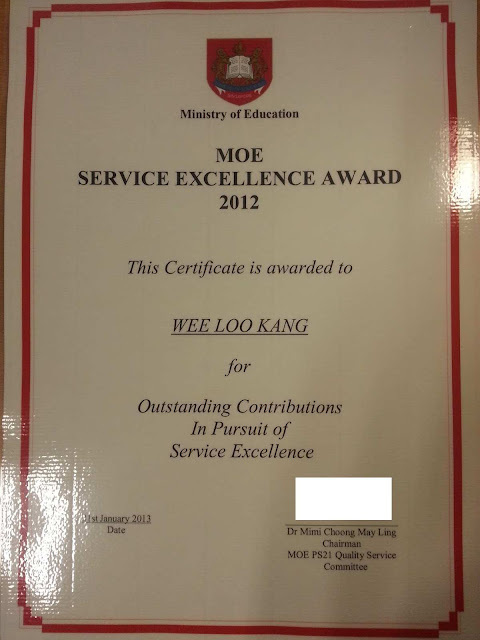 Loo Kang actively blogs and twits via an open access blog (http://weelookang.blogspot.sg/) to share resources and ideas in physics education to Singapore teachers and the world. This also includes sharing useful implementation tips and research strategies. There are more than 1500 visitors daily to his blog from all over the world. Educators local and overseas have given very positive feedback on the usefulness of the free resources provided. Through requests and feedback given, Loo Kang constantly improves and fine tunes the simulations and models to meet curriculum needs. All this done for the love of the subject and the desire to see that education benefits all students and teachers around the world. He publishes extensively in peer reviewed journals and creates computer models on Open Source Physics to promote and scale innovative use of open source ICT tools in education. 3. Exceeded customer expectations or delivering extraordinary service by adopting a solutioning mindset, proactively offering customers alternatives, yet serving with fairness and impartiality. Driven by a desire to bring about engaging science learning in every classroom, Loo Kang constantly seeks to address teachers’ needs and requests for meaningfully engaging simulations. Many teachers have given feedback on the extraordinary service provided by him to ensure that his computer models and simulations are customized to the Singapore syllabus and learning needs of their students. He goes the extra mile to develop computer models at no cost, free for access in the public internet domain by everyone, not just for local educators but also for all educators from around the world. Regardless of where the requests might originate, his service quality is always top notch. (Courtesy, Accessibility, Responsiveness and Effectiveness), People/ Customer Centricity, Empathy and Heart in service delivery. Courtesy – He always serves with a big smile. Accessibility – He is highly accessible to educators around the world. This is made possible by leveraging social media such as Facebook, Google+ and Blogspot. Responsiveness – His response time to requests for help is very fast and sometimes even amazing as testified by many teachers who have benefited from his support. Effectiveness – The quality of his simulations are high and many teachers and professors around the world who have used the simulations have testified of their effectiveness. People/ Customer Centricity – He places educators and students in the centre of all his work. His desire is to ensure that teachers get the help needed and have access to relevant simulations and models to bring about effective learning of Physics. Empathy Heart – Being a teacher himself, he understands the challenges and frustrations of teachers in helping students understand Physics concepts. He wants to help as many as he can and his work is made available free to anyone who wish to advance physics education or learn about Physics. 5. Garnered compliments, laudatory comments or special recommendations from internal or external customers. Everyone is indeed impressed by his dedication, passion and contributions. Many school teachers are impressed and some even “amazed” by the quality of his physics computer models and thank him for sharing them freely with them. Even now ETD, AST and CPDD do refer teachers to check out his blog. Now, CPDD and AST colleagues are able to confidently share with school teachers about the open source physics tools that he champions. His work has been included into the CPDD teaching and learning guide, AST handbook for secondary physics etc. Now, teachers need for useful tools and strategies are more readily met, thanks to his work and leadership. Loo Kang goes beyond the call of duty to continually customize Physics resources to make them suitable for use in the different schools and project contexts. With his close hand holding of schools e.g. HCI and YJC, Loo Kang successfully helped them to scale the use of the video tracker for the learning of Physics. Loo Kang always listens to teachers to understand their needs and challenges. Every feedback is taken into account to explore how the simulations can be improved. These qualities coupled with Loo Kang’s ‘strong support’ have resulted in HCI's HOD ICT and his 4 other physics teachers designing and creating the necessary Physics videos and worksheets. 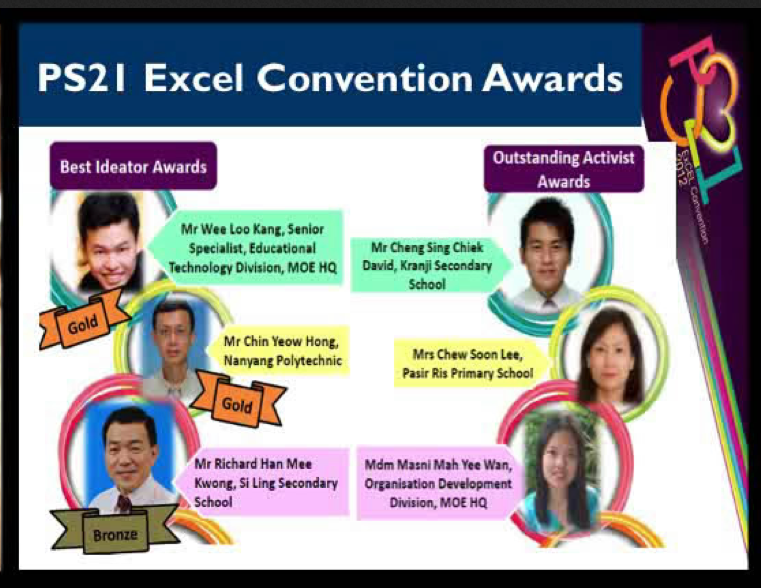 Similarly, YJC’s HOD Science and his 6 Physics teachers were appreciative of Loo Kang’s support that helped them to scale the use of the video tracker for a level-wide lesson involving 200+ students.